All-Natural Soy Candle Lovely Day In Tin - 10 oz - 4 Pack by Soul Purpose at Two Clock. MPN: ghydpovb. Hurry! Limited time offer. Offer valid only while supplies last. 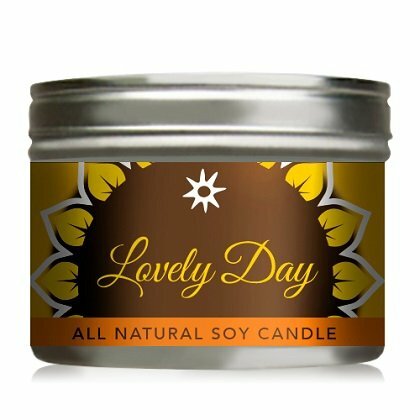 The Lovely Day natural soy candle is perfect for fragrancing and illuminating your environment without harmful toxins or parabens. Aromatic.